What happens in a crocodile's brain when it hears complex sounds? An international research team headed by Dr Felix Ströckens from the Department of Biopsychology at Ruhr-Universität Bochum (RUB) has provided the answer to this question. 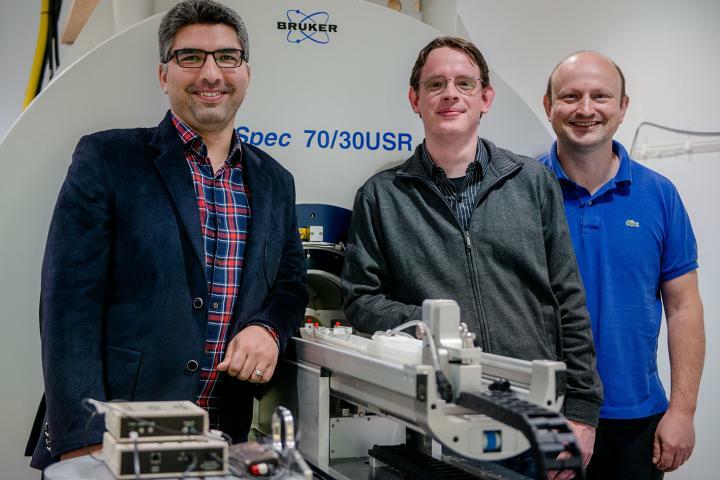 In a first, the researchers examined a cold-blooded reptile using functional MRI. They were thus able to determine that complex stimuli triggered activation patterns in the crocodile's brain that are similar to those in birds and mammals – a deep insight into evolution. The results were published in the journal Proceedings of the Royal Society B: Biological Sciences on April 25, 2018. The objective pursued by the team of researchers from the Iran, South Africa, France, and Germany was to study Nile crocodiles and to ascertain the way sensory information is processed in their brain. To this end, they deployed functional MRI (fMRI) – a method that is routinely used in clinical diagnostics and research, but which has never yet been utilised to study a cold-blooded reptile. "In the first step, we had to overcome a number of technical obstacles," says research team member Mehdi Behroozi. "For example, we had to adjust the scanner to the crocodile's physiology, which differs massively from that of mammals in several aspects." Subsequently, the researchers exposed the animals to various visual and auditory stimuli, including classical music by Johann Sebastian Bach. At the same time, they measured the animals' brain activity. The results have shown that additional brain areas are activated during exposure to complex stimuli such as classical music – as opposed to exposure to simple sounds. The processing patterns strongly resemble the patterns identified in mammals and birds in similar studies.